Take a jog or a stroll with baby in InStep Safari Jogging Strollers. 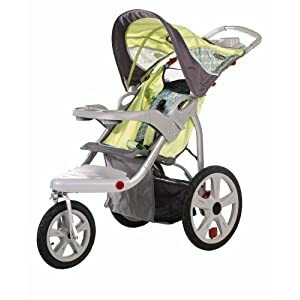 Made for active parents, InStep swivel wheel joggers provide features that keep the little one comfortable and safe, such as pneumatic tires that ensure a smooth ride and a retractable canopy to protect against UV rays. Parent and pivoting child trays with cup holders provide added convenience. Get up to 25% on InStep Safari Jogging Strollers, hurry offer valid only today.